People are a major source of information leaks. Reduce data breaches and the damage to your business and customers with the right approach to people security. People are a major source of information leaks. A third of information security incidents in the Gulf region result from errors or negligence by the organization’s own staff. Whether through irresponsible use of social media, falling for phishing and other attacks, mismanagement of data access rights, or simply losing critical information, businesses are as likely to suffer a breach as a result of internal threats as external ones.From managing data access and privileges across your whole network, to protecting data with multi-factor authentication, GBM can integrate and support complete solutions to secure your organization. With the right approach to people security, you can reduce data breaches and the damage to your business and customers. Design, deploy and support a silent and secure identity and access management solution for greater productivity in the most complex digital environments. In digitally transformed organizations that span on-premises, public cloud and hybrid infrastructures, managing user identities and securing data and application access can become complex and time-consuming. Security is of the utmost importance, but it also vital to give employees a simple user experience that does not impede productivity as they move around the network. GBM can help you design, deploy and support a silent and secure identity and access management solution, which protects your entire business. Simplify security with a single sign-in that verifies the right level of access to the right users throughout their session. Advanced analytics help you make smarter access management decisions to reduce risk. If you want a simpler and more secure access management system, which supports greater productivity in the most complex digital environments, GBM has the expertise and technology portfolio to meet your goals. The powerful solution for discovering, auditing and managing privileged access across your digital business, so you can protect data and applications and mitigate risk. Privileged user accounts are a vital tool for protecting your organization. However, as roles and your software stack evolve over time, privileged accounts become more numerous and difficult to manage, and the risk of attack grows. GBM can help you deploy a powerful solution for discovering, auditing and managing privileged access across your digital business, so you can protect data and applications and mitigate risk. If ineffective management of privileged accounts poses a security risk to your business, or if you need a modern management solution that is ready for your digitally transformed environment, GBM has the experience and technology portfolio to meet your challenges. Take a holistic approach to securing business resources on the network, with an access management built on an industry-leading platform – on-premises, or in the cloud. The business network spans a wider geographic area, and spans a more diverse and complex range of infrastructure and devices, than ever before. This means greater security risks to applications and data, as well as more complex management of network identities and access. 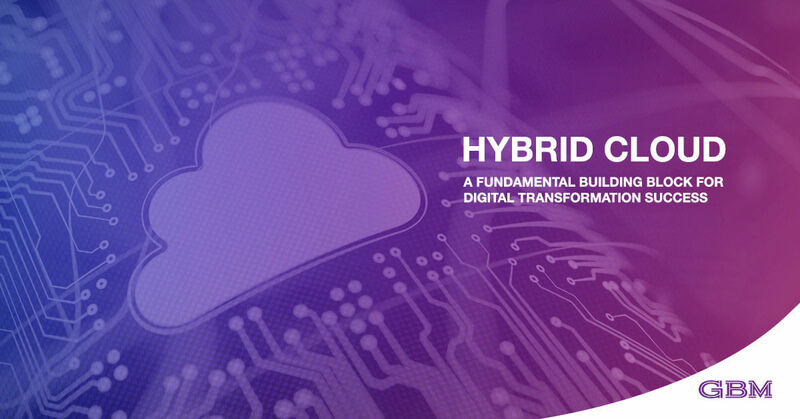 As your organization digitally transforms to embrace public and hybrid cloud, this complexity and risk can only grow. GBM can help you take one holistic approach to securing business resources on the network, with an access management built on an industry-leading platform – on-premises, or in the cloud. If you need greater control of your network with simpler tools, in the face of increasingly complex network infrastructure, GBM has the knowhow and technologies to meet your challenges. The core functions of identity management, access governance, and access analytics are in one solution – and it can be deployed on-premises or in the cloud. Tighter regulatory requirements, along with growing security threats, are pushing organizations to manage digital user identities with greater consistency, visibility and efficiency. GBM can help you meet compliance challenges and mitigate security risks related to user identity, with a comprehensive identity governance solution. The core functions of identity management, access governance, and access analytics are in one solution – and it can be deployed on-premises or in the cloud. Whether your goals include improved identity governance, cost control, simpler regulatory compliance or improving visibility and risk insight, GBM offers complete partnership, from identifying your needs to supporting your ongoing success. Support employees and customers to protect their accounts and personal data, while also reducing the risk of a costly data breach, with multi-factor authentication. Recent cybersecurity trends prove that passwords are too easily compromised. Passwords can be lost, stolen or compromised by hackers, leading to data breaches that have cost major enterprises millions in lost customer trust and operational disruption. Multi-factor authentication (MFA) adds an additional layer of security to the user sign-in experience, requiring additional authentication factors such as email and SMS text messaging. When users are required to enter a unique code sent to their inbox or phone, in addition to a password, security risks are mitigated. GBM can help you implement a secure, easy-to-manage MFA solution. If you want to support employees and customers to protect their accounts and personal data, while also reducing the risk of a costly data breach, GBM is the partner to help you implement secure and easy-to-use multi-factor authentication.